Location: Situated in the Shouf Mountains overlooking the Mediterranean Sea to the West and the length of the Bekaa valley to the east. Streches from Dahr Al Baidar in the North to Niha Mountain in the South. Explanation: The largest Nature reserve in Lebanon (approx. 5% of the Territory) encompassing the best remaining strand of cedar forests where over 160 bird species have been recorded including a number of globally threatened birds; such as the Greater Spotted Eagle, Imperial Eagle, Corncrake and Syrian Serin (A1, A2). Habitat: Forest, Grassland, Shrubland. Brant’s oak forest on its northeastern slopes and Juniper and Oak on its southeastern slopes. 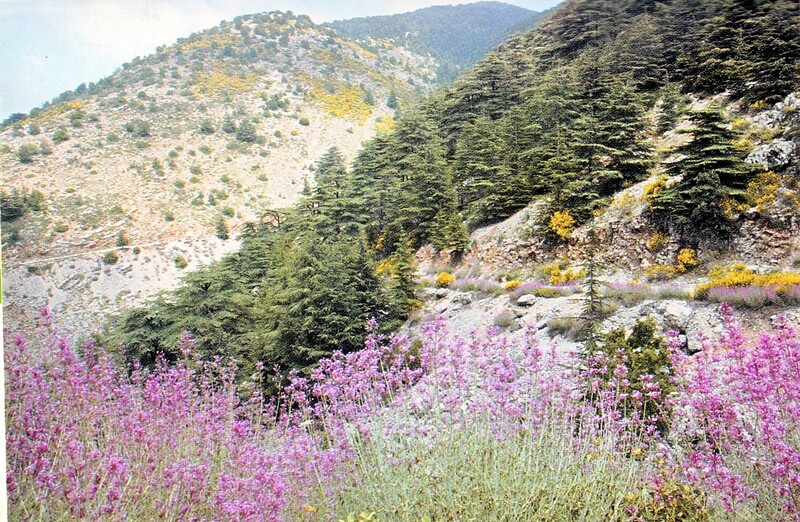 Three Cedar forests (some 2000 years old) in Maasser ech- Chouf, Barouk, and Ain- Zhalta- Bmahray. Threats: No direct threats (tourism, recreational). Current conservation measures & future plans: declared by law as nature reserve in 1996. A comprehensive and appropriate management plan exists that aims to maintain or improve the populations of qualifying bird species.